Recently, I went on my honeymoon to Japan! 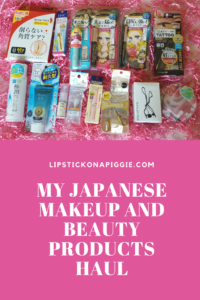 In addition to eating tasty food, touring, and spending time with my husband, I was most looking forward to shopping for Japanese makeup and beauty products. 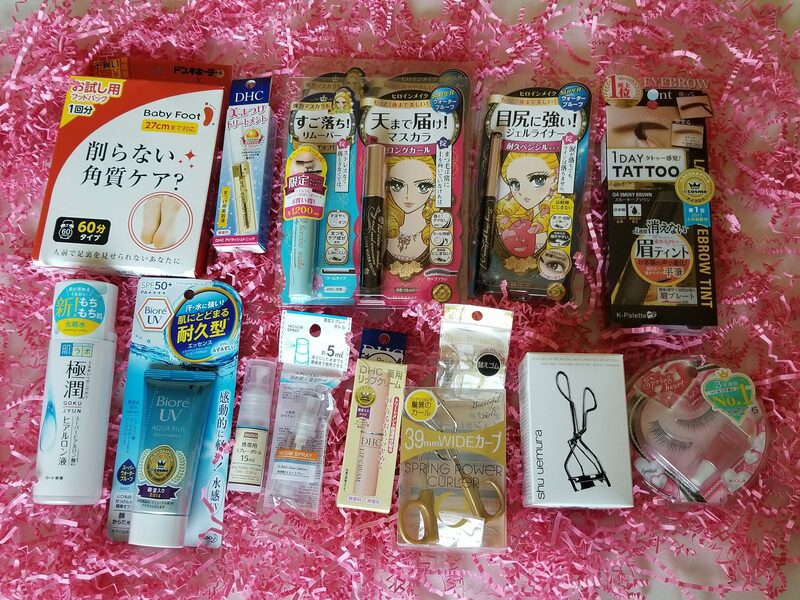 Since Japanese makeup brands are cheaper in Japan, I wanted to stock up on new products to try out and review! 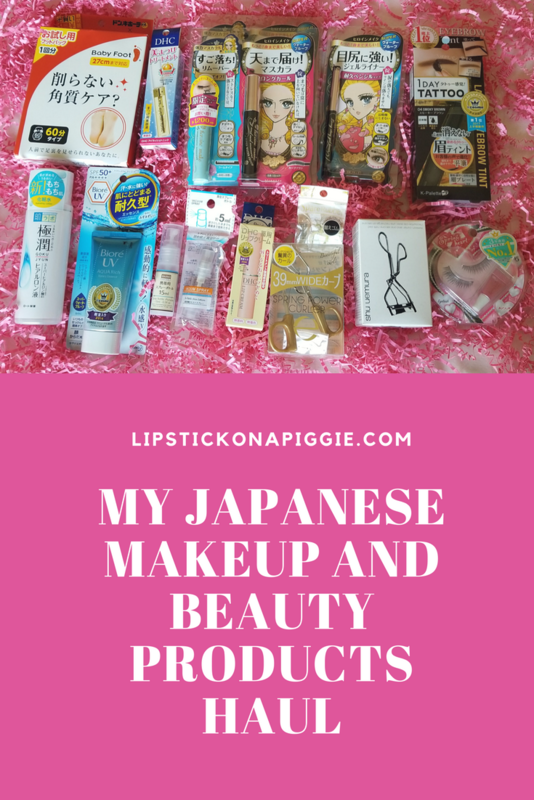 I’ll be writing more comprehensive reviews later, but here are photos of the best Japanese beauty products I could stuff in my suitcase (and yes, I checked it)! Most of these items were purchased from Don Quijote, Ainz & Tulpe, and Bic Camera. 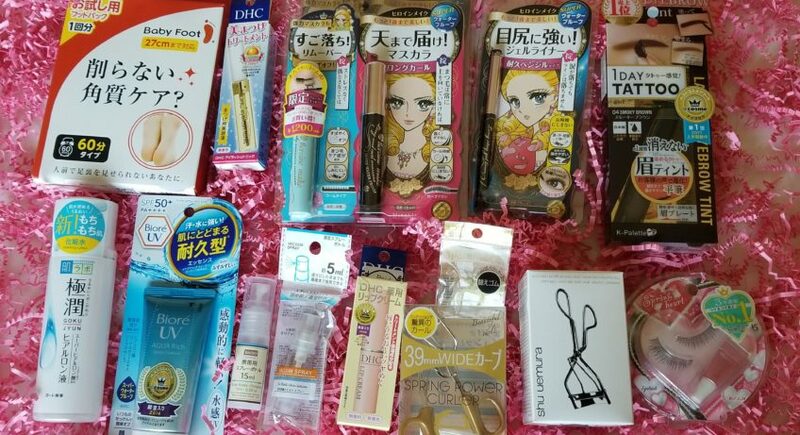 Here’s a photo of my Japanese Makeup and Beauty Products haul. To avoid redundancies, I left out the doubles and triples (and quadruples) of products I bought. 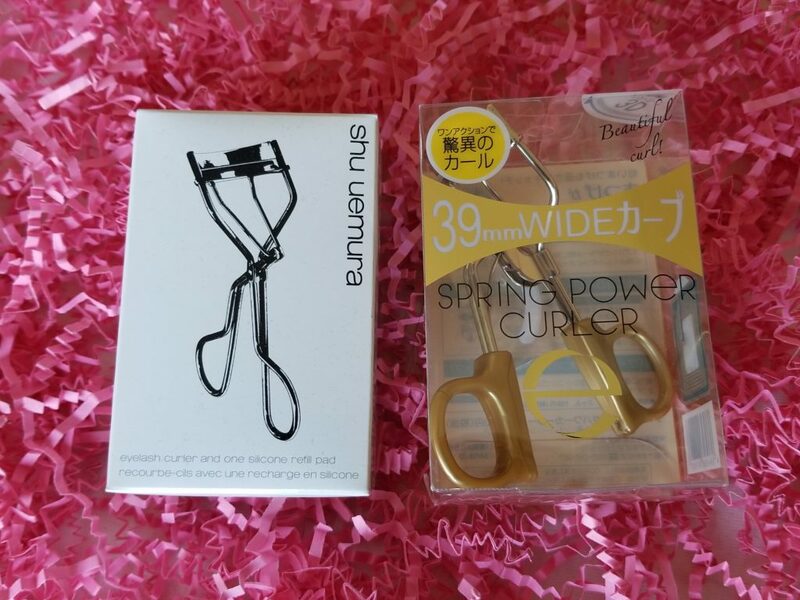 I’ve been hearing people rave about the Shu Uemura eyelash curler for years. Unfortunately, Sephora no longer carries the Shu Uemura brand, so U.S. fans have to rely on Amazon or the Shu Uemura website. Since it’s a lot cheaper in Japan than the U.S., I took the opportunity to try out this coveted eyelash curler. I can see why this curler has such a fan following, but it’s definitely not my favorite. While it fans my lashes better than my current curler from Sephora, I do not like how it pinches me if I’m not extra careful. I still use it, mostly because I like how it makes my lashes look, I paid for it, and I feel awkward about giving away a heavily used eyelash curler. I discovered the Sana Excel eyelash curler after finding a tester at the Don Quijote in Shinjuku (don’t worry, I sanitized it first). I honestly didn’t expect much, but was completely blown away by its strength (which comes from the spring inside the curler). Unlike the Shu Uemura curler, the Sana Excel one doesn’t pinch at all. As much as I wanted to buy 10 of these curlers, I had already blown my cosmetics budget on mascara. Hence, I stuck with one and got extra plastic pads. If you ever visit Japan, I recommend grabbing one (they cost roughly 1000Y, or about $9.16 USD) as the Sana Excel eyelash curler is the best one I have ever used. 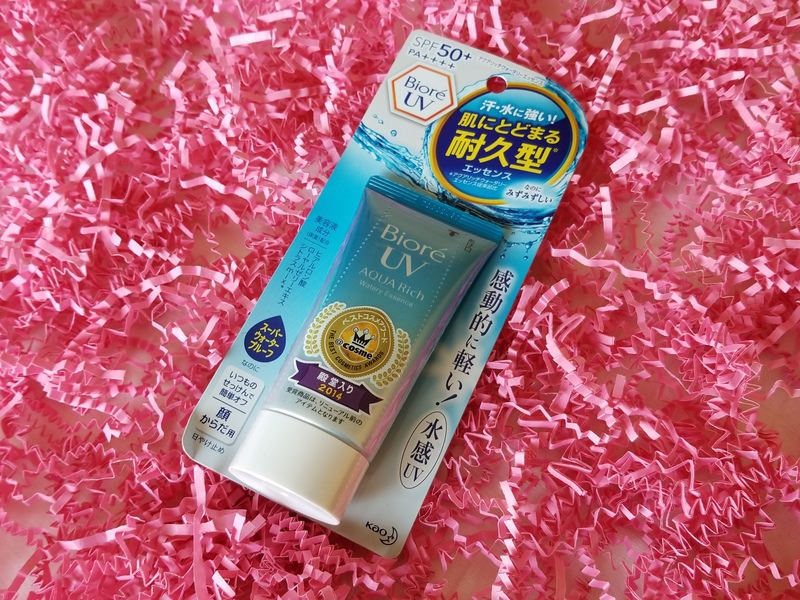 Before my honeymoon, I read a number of blogs and reddit threads on the best Japanese beauty products to buy. While I wanted to try everything, I knew that my suitcase and wallet could only handle so much. 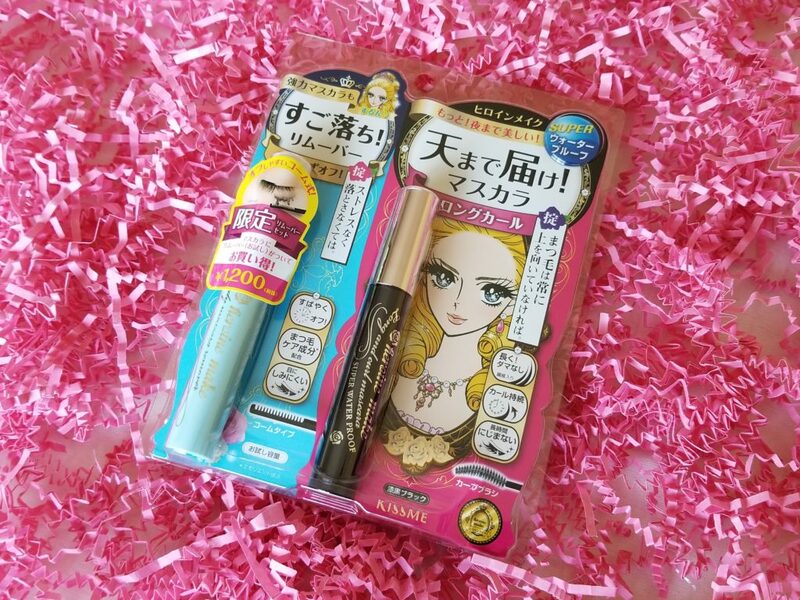 For mascara, I ultimately narrowed it down to the Kiss Me Heroine Make Long and Curl Mascara (super waterproof version). 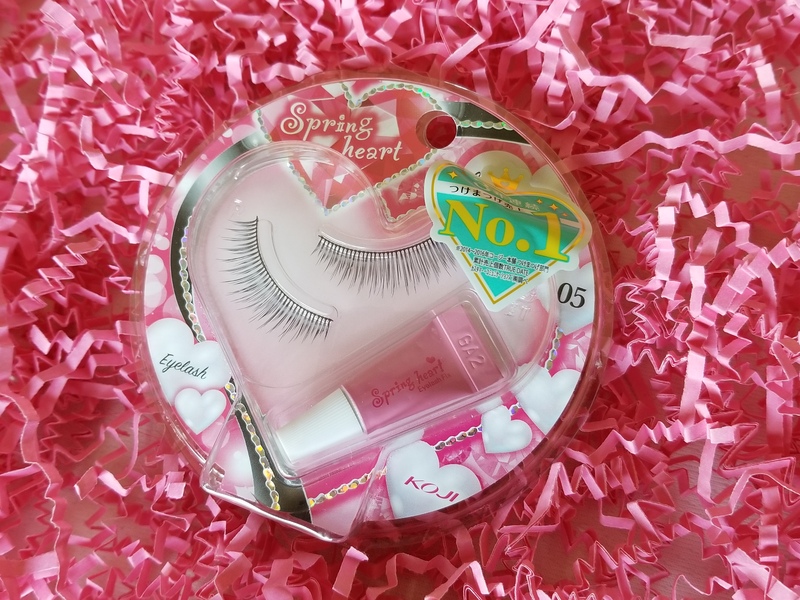 I initially bought a single tube to try out, and after applying it to my lashes for the first time I sent photos to my friends with the caption, “I have eyelashes!”. If I was limited to buying one Japanese makeup product, this would be it. I ended up buying multiples of this product for family and friends. While it retails in most stores for 1000Y + tax, I found a set at Ainz & Tulpe in Shibuya which had both the mascara and mascara remover for only 1200Y. You’ll definitely need the mascara remover (or a good oil cleanser, which I forgot to pack for my honeymoon), as it took 3 days for the mascara to finally disappear from my lashes without it. Prior to my trip, I stopped by the Japanese makeup store near my house to swatch gel eyeliners on my arm. I walked out of the store with lines on my arms that would not come off until I applied oil cleanser later that night. When it comes to staying power, it’s hard to beat Japanese eyeliner. 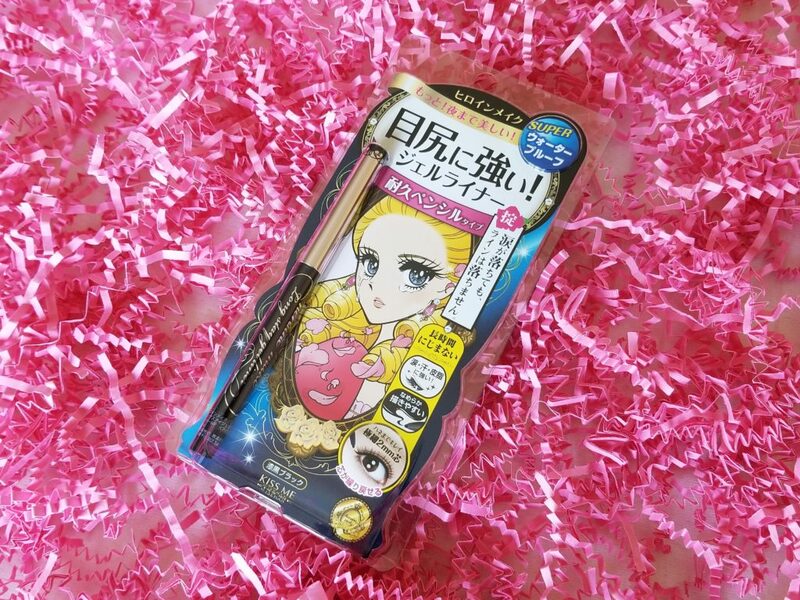 In Japan, I decided to stick with the Kiss Me brand and buy their Heroine Make Long Stay Gel Eyeliner. I generally prefer gel eyeliner over liquid because I am terrible at applying liquid eyeliner. If you’re a fan of liquid eyeliner, I swatched a few brands at my local Japanese makeup store and their staying power is just as good, if not better than the gel liners. While in Japan, a friend messaged me asking for eyebrow tint gels. These are gels you apply to your eyebrows and peel off, leaving a waterproof stain behind. 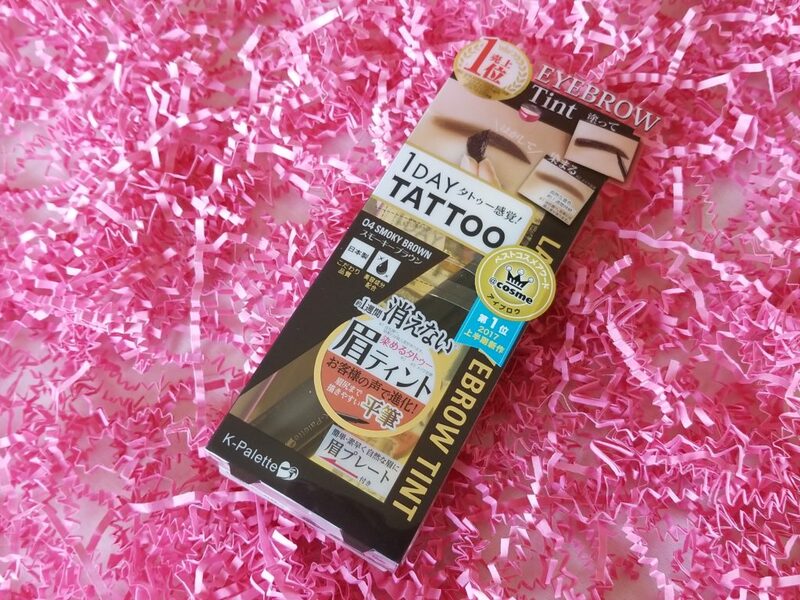 During my first visit to Don Quijote in Shibuya, I found the K-Palette 1 Day Tattoo Lasting Eyebrow Tint along with testers for every color. I ended up walking around with brown swatches on my arms for the rest of the day AND the next day. This product is indeed a temporary eyebrow tattoo. I ended up getting 04 Smoky Brown, which is the darkest of the four colors offered. The shades all run a little on the warm side, so this product may not work on all skin tones. I haven’t tried this out yet, and am waiting for a series of days where I don’t have to go anywhere just in case I mess up the application! Later in my trip, I found a sale on Miche Bloomin’ lashes at the Shinjuku Don Quijote, also ranked No. 1 on Cosme Japan and sold in packs of 4 pairs. I got those for all my cousins instead and will save these eyelashes for a future special event. Cosplay for a convention, maybe? 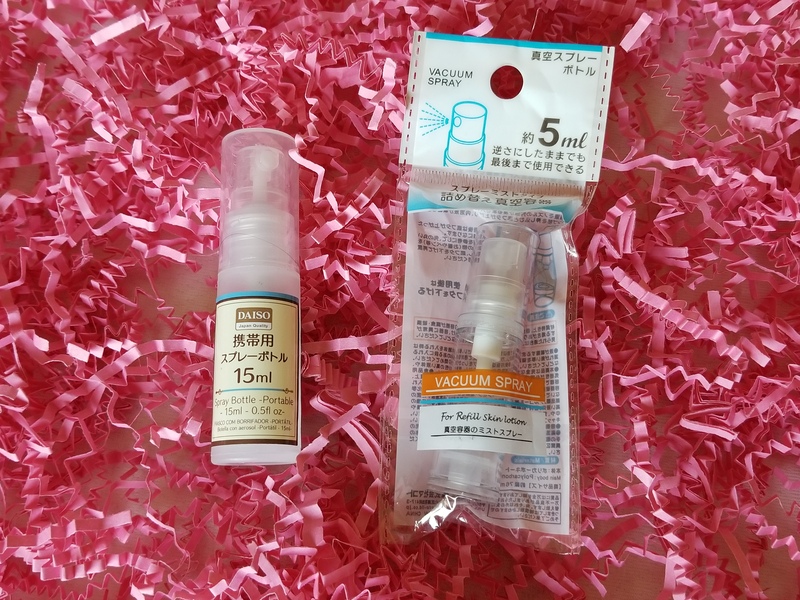 As someone with short lashes, I was especially excited to try out the eyelash growth tonics in Japan. After reading online reviews of various products, I settled on the DHC Eyelash Tonic. It’s a serum designed to coat and condition your eyelashes. It’s also made with mostly natural ingredients like ginseng, olive oil, willow bark extract, and aloe, so I’m not too worried about my eyeballs changing color like with the prescription eyelash growth serum Latisse. 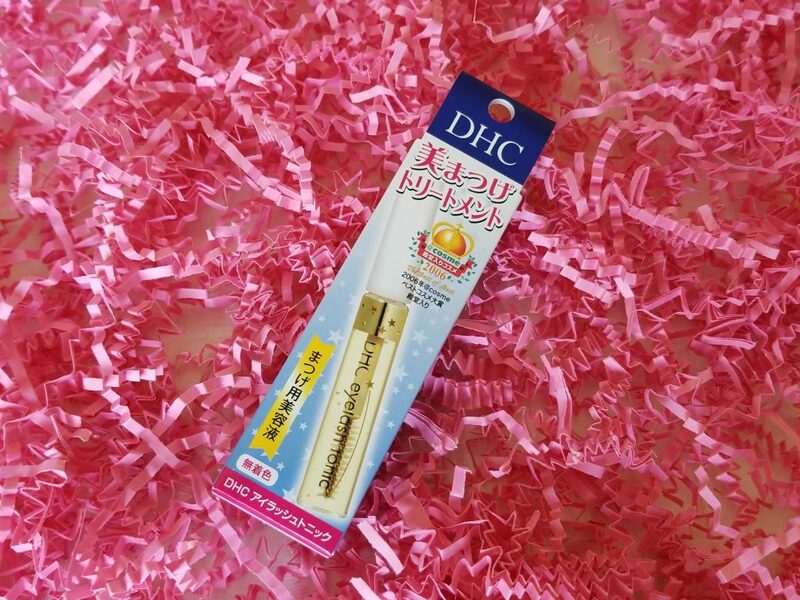 I plan on testing the DHC Eyelash Tonic soon and will write a more comprehensive review on it. 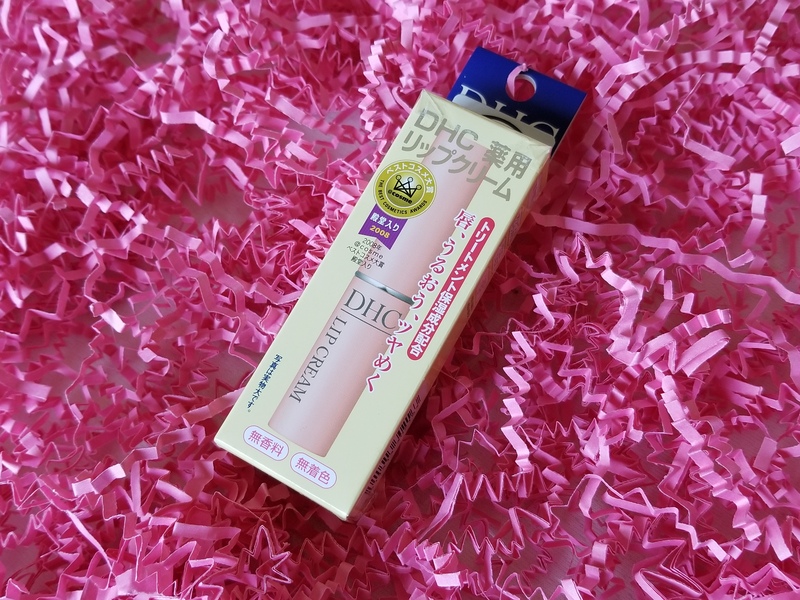 I purchased the DHC Lip Cream after reading numerous beauty blogs raving about it. I haven’t tried it yet because I still have a purse full of lip products I’m trying to finish. This will likely be a nighttime product as it has no SPF. A friend of mine asked me to bring back an acid skincare product to help with her winter skin. I decided to get her a bottle of hyaluronic acid. 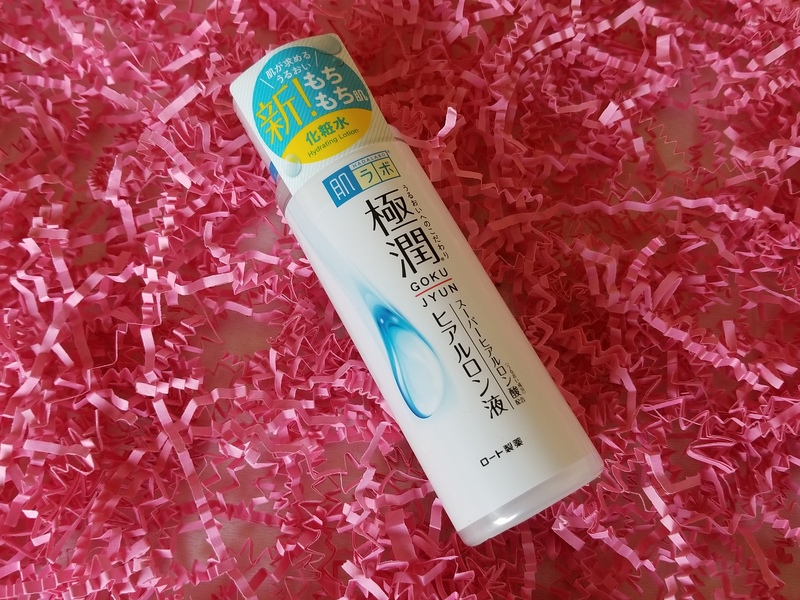 Hada Labo is an extremely popular brand in the Asian Beauty community and its humectant hyaluronic acid lotion is a holy grail product for many. I got a second bottle for myself to add to my growing list of products to test on my face! 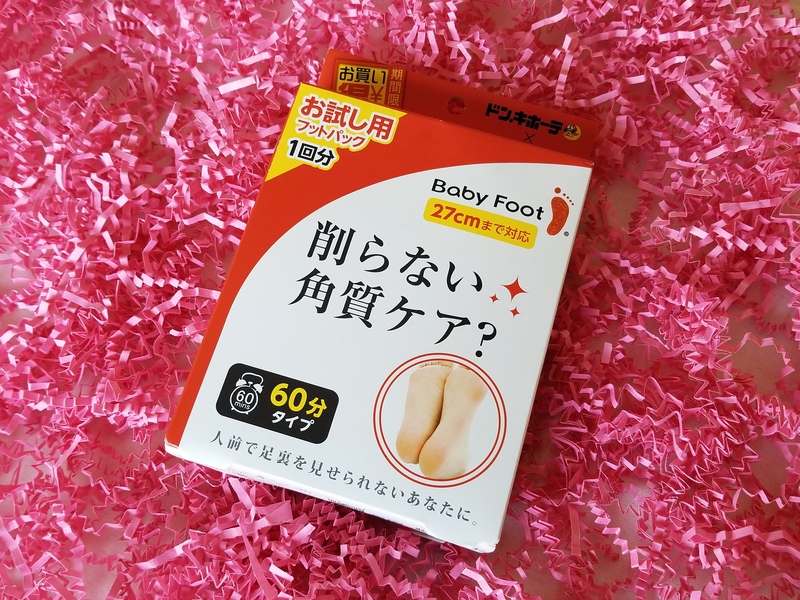 After reading about the Baby Foot Exfoliant Foot Peel (and seeing photos of feet shedding their skin), I had to try it for myself. As with the tinted eyebrow gel, I’m waiting for a time where I don’t have to go out for a few days! I suppose there’s always socks! While in Japan, I took the opportunity to stock up on travel bottles from the 100Y ($0.92 USD) stores Daiso and Cando. These 15ml and 5ml bottles are perfect for short trips! This blog post is by no means a comprehensive list of everything available in Japan. 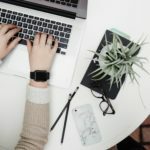 I simply did a little research on Google and Reddit before my trip and narrowed it down to what I thought would be the best Japanese beauty products for me. As I try out each one, I’ll make sure to report back on my findings. 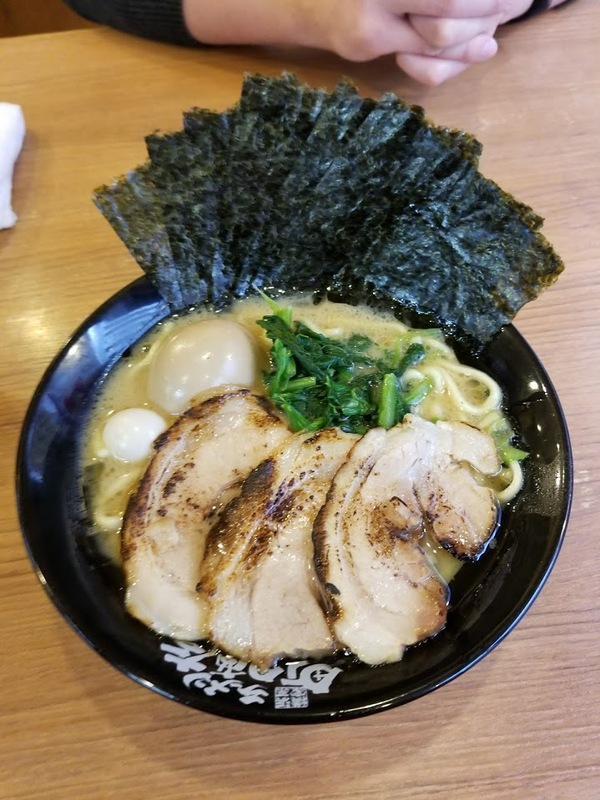 If you’ve tried any of these items pictured above (ramen included), let me know what you think in the comments section! Well, I’ve tried ramen and it’s better than make-up. That’s quite a haul, though! I do want to try that mascara. As much as I like my skincare and makeup, I have to agree that ramen is so much better!